You see a map that displays territory of Aland Islands, of Finland, of Russia, of Sweden, of Ukraine. You can find here city Oulu free download. city Apatity free download. On this map city Monchegorsk presented. On this map city Kandalaksha free download. Displayed city Kajaani presented. city Rovaniemi for Garmin. Displayed city Kostomuksha marked. Displayed city Kirovsk marked. You can find here city Kemi marked. On this map city Raahe for Garmin. On this map city Tornio presented. Displayed town Kovdor download for free. 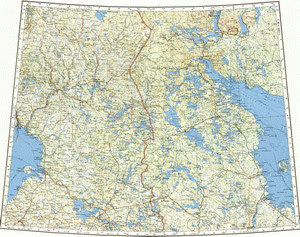 On this map town Kuusamo free download. town Haukipudas marked. Displayed town Polyarnyye Zori download for free. On this map town Kempele for Garmin. Displayed town Kem' for Garmin.